Are you in search of a Bartow dui lawyer? Have you been trying to fight your dui arrest on your own? Don’t delay! Florida dui laws are very complex and harsh. You need a skilled dui lawyer in Bartow to help protect your rights. At the law office of Finebloom, Haenel & Higgins we provide the highest caliber of dui attorneys Bartow residents can expect. 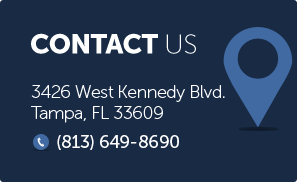 Our dui attorneys are committed to quality representation. As part of our comprehensive defense our Bartow dui attorneys custom craft a defense unique to your needs and your situation. Our experienced dui lawyers have litigated hundreds of dui cases. We are familiar with every challenge that can be made. For instance, did you know that it may be possible to challenge the reason you were stopped by law enforcement? Or that in some cases breath test or blood results can be thrown out? When you hire a dui lawyer Bartow law enforcement officials are put on notice that everything they did that night will be called into question. It is the first important step to protecting yourself against grave sanctions that can impact your home, school, work and social life. Not to mention the impact on your back account! If you blew over a .15 you will also be required to install an ignition interlock on your vehicle for at least 6 months. If you have a third or fourth dui conviction it can be charged as a third degree felony carrying a jail penalty of up to five years in prison and a $4000 fine! At Finebloom, Haenel & Higgins our dui attorneys in Bartow are dedicated to providing superior representation. We explore every option to make sure you obtain the best possible outcome for your individual situation. Call us now for a free consultation at 1-800-FIGHT-IT. Our dui attorneys are available 24/7 to speak with you. Call us nonw and let us help you fight your case today!